New Delhi: Congress president Sonia Gandhi leads a march of leaders and MPs of 10 political parties from the Parliament House to the Rashtrapati Bhawan to protest against the controversial land acquisition bill in New Delhi, on March 17, 2015. 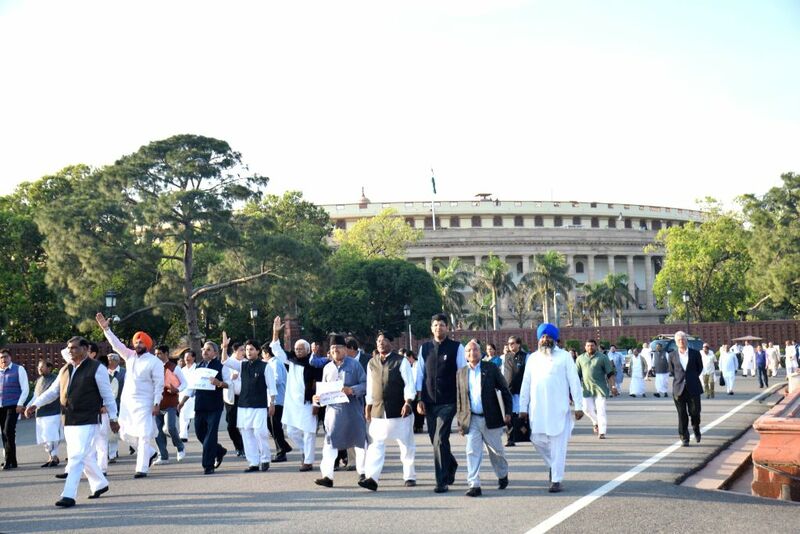 Parliamentarian participate in a march from parliament to the Rashtrapati Bhawan to protest against the controversial land acquisition bill in New Delhi, on March 17, 2015. 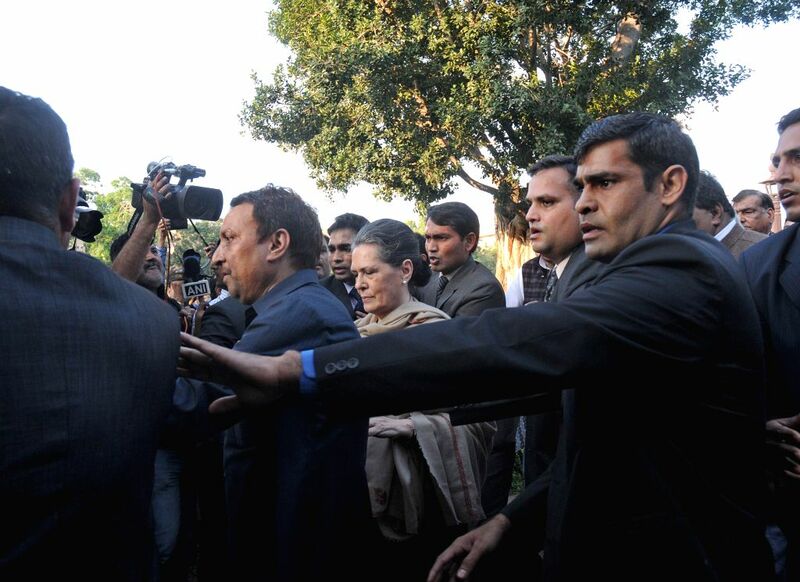 Leaders and MPs of 10 political parties, including Congress president Sonia Gandhi participated in the march.